To be honest, that's what I thought too.. 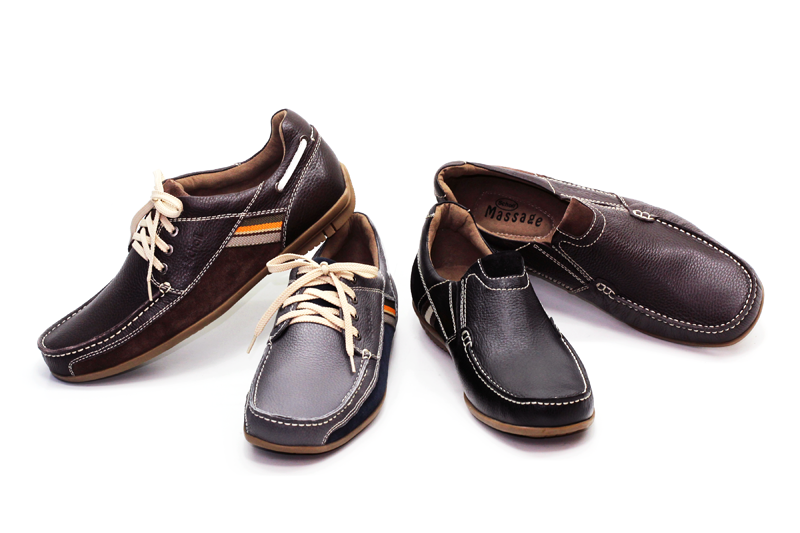 But I decided, hey let's give this brand a chance and check it out. And so glad I did! Upon entering, my eyes immediately zoomed in on this beautiful pair from their Spring/Summer 2013 collection. Like whaaat! I didn't expect Scholl to have something like this. High wedges with a tassle in front. 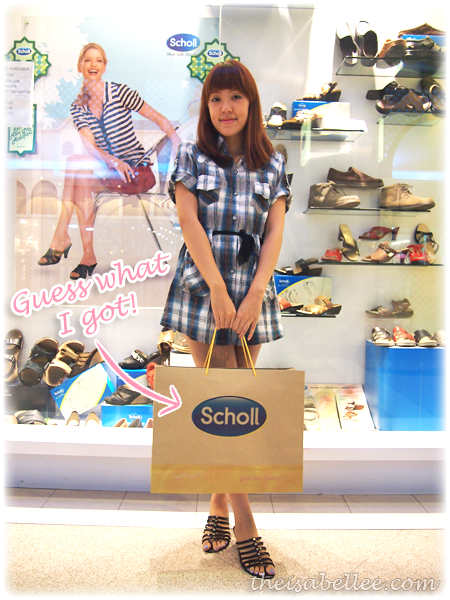 This looks too fashionable to be a pair of Scholl's?? Certainly, there has to be a mistake? A variety of styles and designs are available for different ages, purposes and personalities. Look at those cute flower ones!! 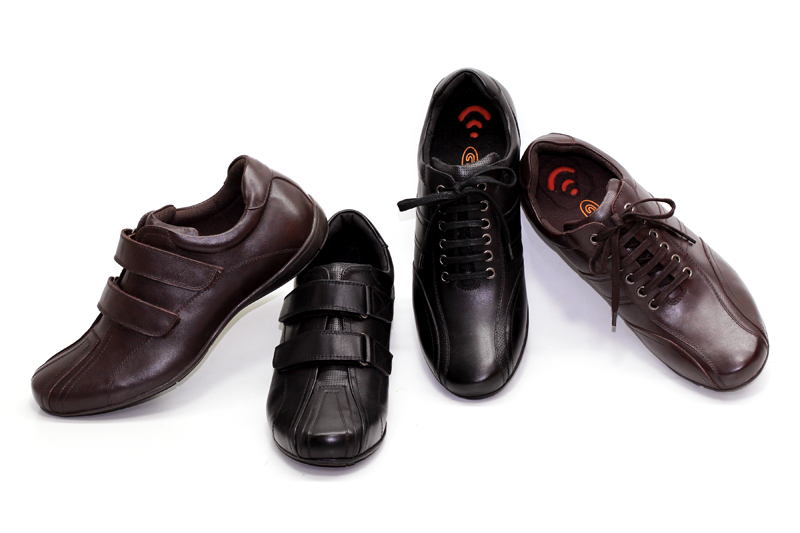 Those on the bottom left are Bio Mechanics, designed to reduce heel and ankle pain. They help to realign the posture of your feet and body as well as help to improve natural pain relief from common foot ailment! High heels that don't torture your feet and threaten to give you blisters. We girls are always on the go but it is important to take care of our feet! 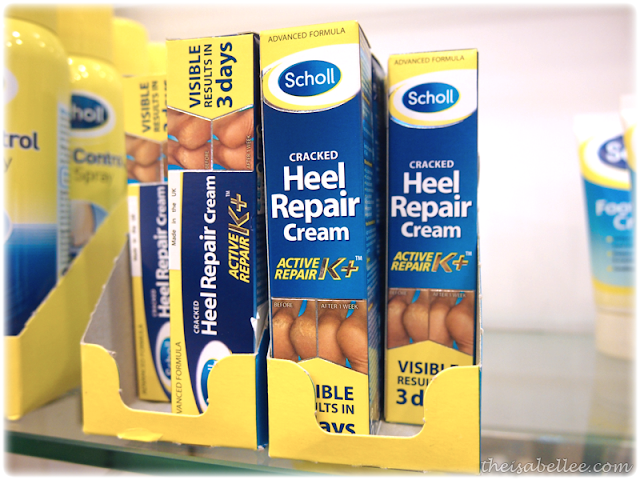 If you NEED to wear that 5 inch heels at an event, put on a pair of Scholl before you reach your destination to reduce the damage. Tried on SO many pairs of shoes.. These were just a small fraction of them. 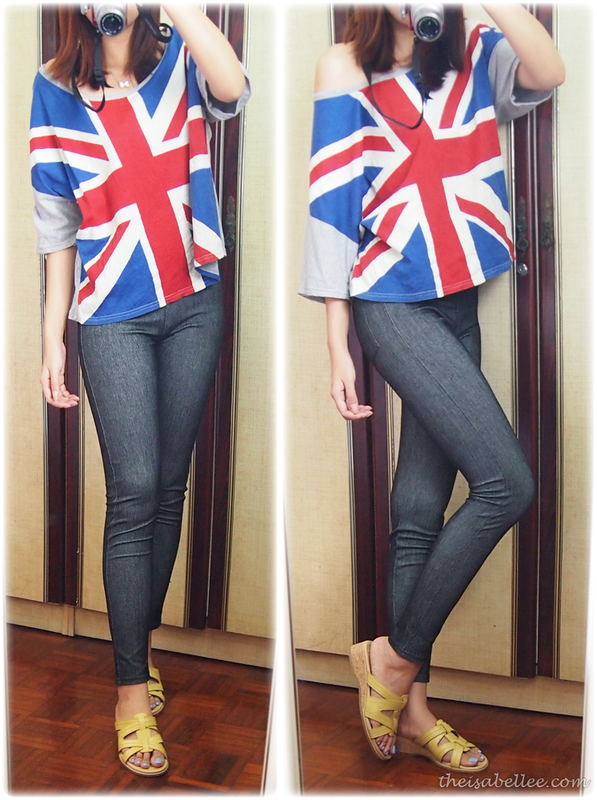 Still like those animal prints but the strappy ones are suitable for casual days. 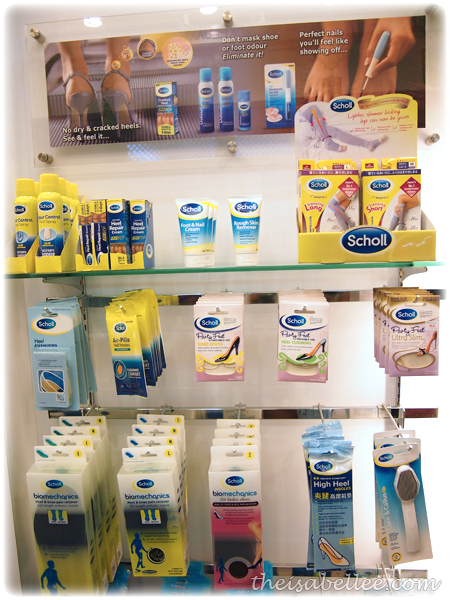 You might have heard of Scholl Party Feet - jelly like things that you put on your shoe soles to cushion your feet! They also have other stuff including slimming socks. Apparently these cracked heel creams are the bomb. If you guessed the tassle wedges, ding ding ding! Your guess is correct. 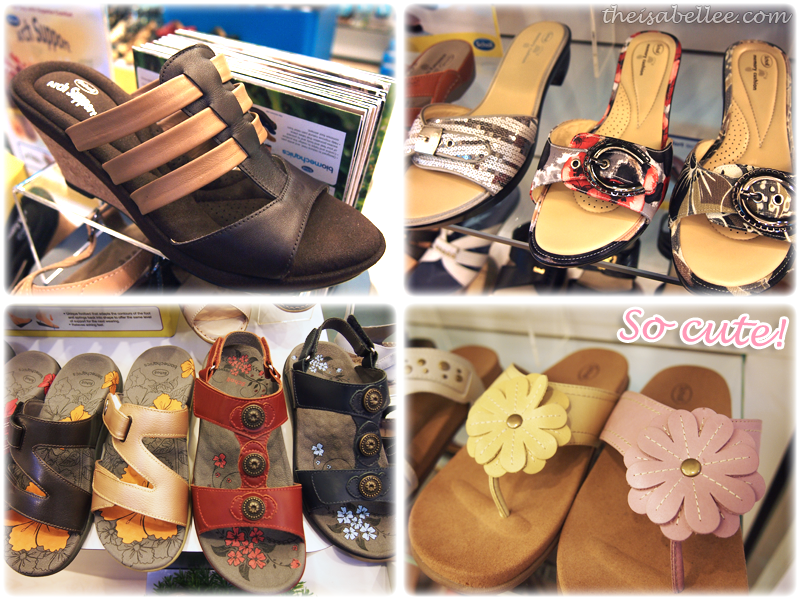 I could not forget that feeling when I first tried them on and my feet were greeted with soft cushions so fluffy I felt like I was walking on clouds. Ridiculously comfortable for shoes that high. Plus I love the design! My 2nd pair is the yellow strappy one! I've always had a thing for strappy shoes and these go great with casual outfits. Despite being more sandal-like, there is still a slight elevation which I love. The yellow colour is a mood lifter too. Hello, my new darlings.. The black tassle pair has Arch Support for maximum comfort while the yellow strappy ones are from the Massage range which massage the soles of your feet and smoothes away tension while improving blood circulation. I walked around Genting (you know how long those walks can be..) with these on and they didn't hurt my feet! 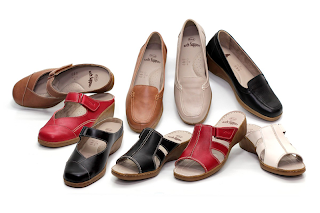 Eliza Range (September) - Equipped with Scholl Arch Support to support flat feet, weak or fallen longitudinal arches, relieving foot strain and tiredness. 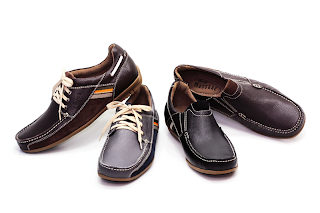 Evelyn Range (October) - Comes in earthy colours and Sole Support which helps lift weakened metatarsal arches so that the ball of your foot is protected and relieved of any tenderness. 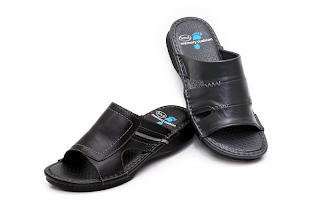 Darren 2 Range (October) - Slippers with Memory Cushion that adapts to feet contours and springs back into shape, offering the same lever of comfort and support for the next wear. Edison Range (November) - Velcro and lace up shoes with Gelactiv, the foot bed with impact absorbing gel to keep your legs and feet energised. Edeline Range (December) - Possibly the best alternative to high heels! 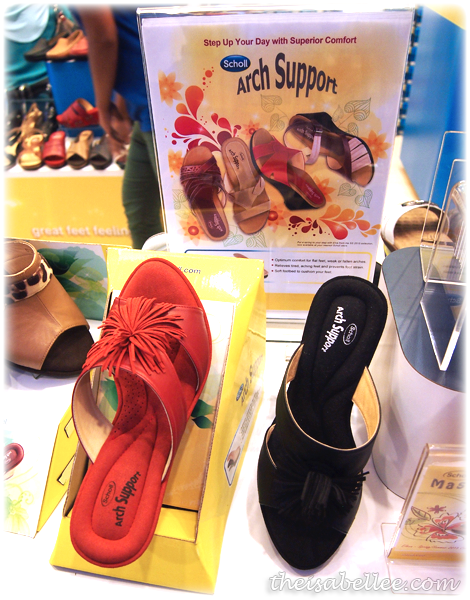 Wedges with Arch Support. 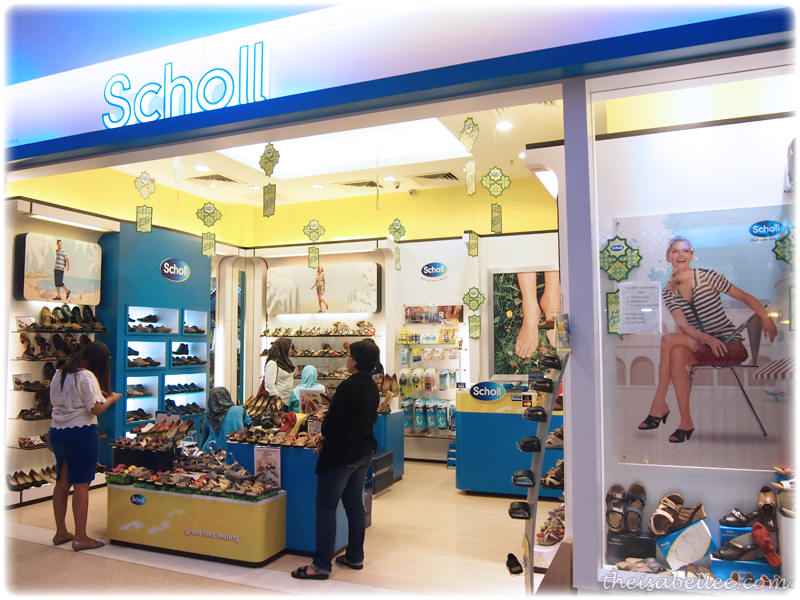 Festive Ladies Range (December) - Party in style through the night with Scholl’s Festive Ladies collection, featuring open toed court shoes and slip-ons with a feminine bow motif. Haha!Well, that would make sense..